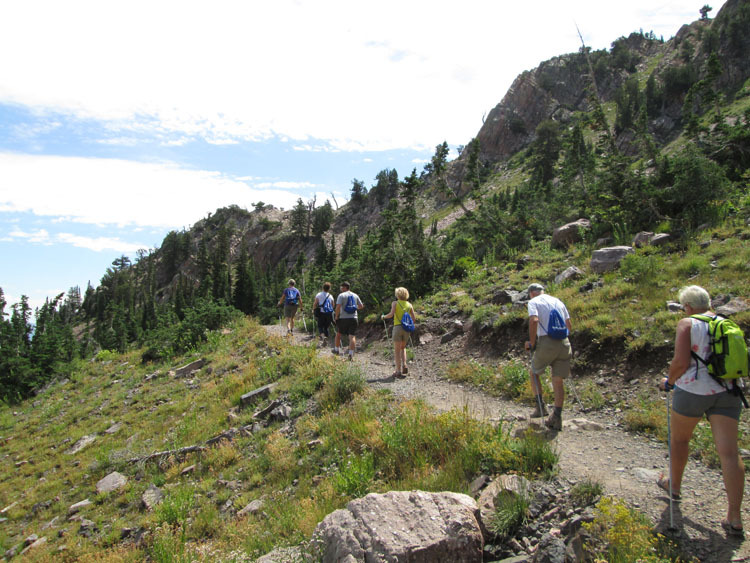 Snowbasin Resort is simply one of the best places to go for a summer-time hike in the Wasatch. With 26 miles of trails, you could explore the mountain for weeks! For folks looking for a quick and enjoyable hike, the Moose Loop in the base area is an easy 1-mile loop through the woods. As you hike along the Moose Loop, keep your eye open for the giant blue spool—it was used to transport the haul-rope for the Needles Gondola, and still contains a small section of the rope. The Inner-Moose Loop is even shorter than the Moose Loop, and a great place to take the kids on one of their first hikes. For hikers looking for a great view from the top of the mountain, take a hike from the top of the Needles Gondola along the Cirque Loop and up the Ridge Trail. It’s a steep but short hike to vistas of Ogden, the Great Salt Lake, Pineview Reservoir and the Ogden Valley. The Ridge Trail is the best place on the mountain for viewing wildflowers. Although late July is the optimum time to view wildflowers at Snowbasin, the great diversity of plant life in the mountains means different flowers bloom at different times throughout the spring, summer and fall. It’s a beautiful and colorful rotating show of flowers! If you are looking for an epic, all-day hike, hike up the Needles Trail from the base area, stop for a break at Needles Lodge, and then hike down the Porcupine Trail. For a slightly less epic, half-day hike, ride the Needles Gondola to the top, hike down Porcupine Trail, across the mountain on the Middle Bowl Trail, up the Diamond trail and back up to the Gondola via the Needles Trail. The Gondola runs from 10:00am to 6:00pm on Saturdays and Sundays through the last weekend in September, and Needles Lodge is open for lunch from 11:00am to 3:00pm on Saturdays. 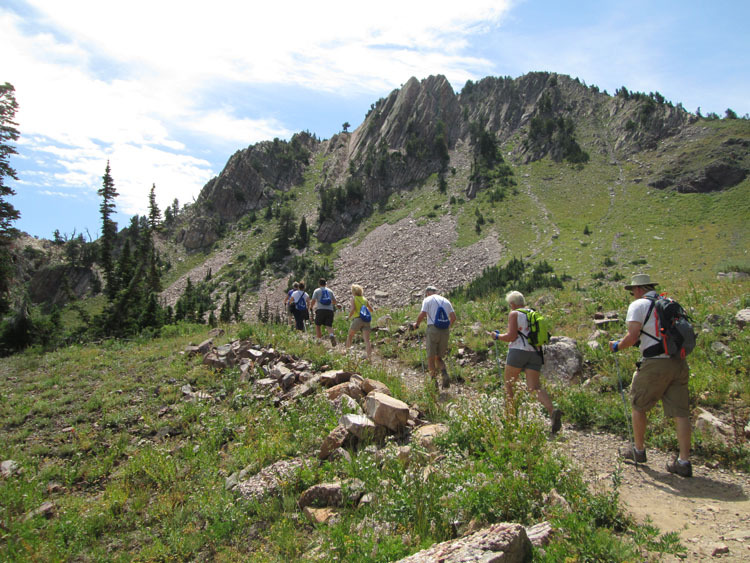 For hikers who enjoy learning about their surroundings and exploring the trails with some insider-knowledge, Snowbasin Resort also offers guided hikes. The last Guided Tour of the summer is coming up on Saturday, September 5 at 10:30 AM, when you can join a naturalist guide on a Tour of the Cirques. 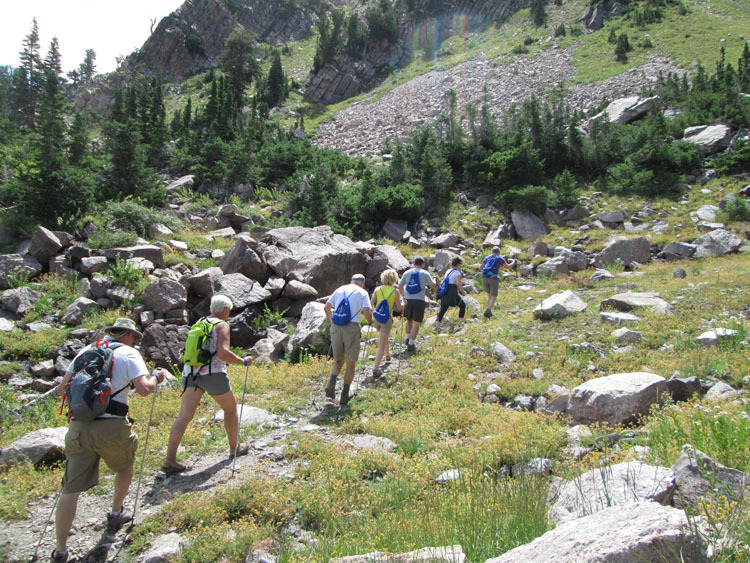 During this hike, hike with the group up Middle Bowl Cirque and then pause to take in the views. From there, the hiking group will split into two different groups. Hikers who prefer the well-beaten path can hike with their guide over to the top of Porcupine Cirque. For hikers who want a little more adventure, hike with a guide over to Strawberry Peak. The route over to Strawberry requires some off-trail hiking and scrambling over rocks. Along the way, you will learn about the geology and glaciers the formed the mountains, and plants and animals that live in the high-elevation environment. The hike will be fairly strenuous and will last 3 to 4 hours, but you are welcome to travel at your own pace. Bring at last two bottles of water for this hike and wear sturdy, closed-toed shoes. Snowbasin provides a snack for all the Guided Tours, but you may want to throw an extra granola bar in your pocket. It’ll be a great way to enjoy a late-summer Saturday! More info on Guided Tours HERE.